In May of 1972, seven burglars broke into the Democratic National Committee’s office in the Watergate building located in Washington, D.C. The burglars wiretapped phones and stole many secret documents. Though the original wiretaps proved to be unsuccessful, so the burglars broke back in on July 17 that same year. As they were attempting to to break into the office to install a new microphone when they were caught by a security guard. The guard immediately called the police who caught the burglars. 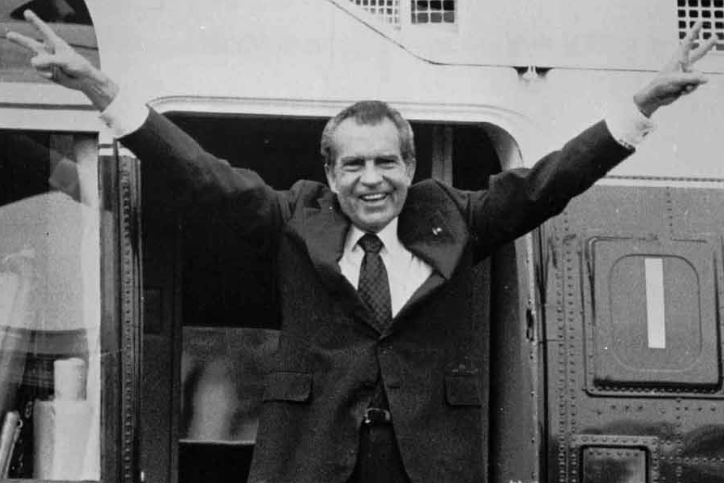 Historians are still unsure as to whether or not President Richard Nixon was involved with the break-in, but he did make obvious steps to cover up the crimes. Suspicions of his involvement were originally raised when detectives found copies of Nixon’s reelection committee phone number in the belongings of the burglars. It had not been immediately clear, however, that the burglars had any connection to him. 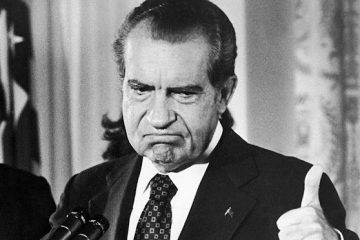 That August, Nixon gave a speech swearing that he and his White House staff were not involved in any way with the Watergate crimes. Many of his voters believed him and that November, he was reelected. It was soon discovered that Nixon’s statements were not true. There was evidence found that he had tried to cover up the crimes. For example, Nixon provided thousands of dollars to the burglars as “hush money.” Along with some of his aides, he also planned to instruct the CIA to prevent the FBI from investigating the Watergate crimes. Soon though, a few of Nixon’s aides cracked under pressure and testified before a grand jury of Nixon’s involvement, John Dean, the White house counsel at that time, included. John Dean also testified that Nixon had been secretly taping every conversation that had happened in the Oval Office. If prosecutors were able to retrieve the tapes, they would have evidence of Nixon’s involvement. Nixon was struggling to protect the tapes during the summer and fall of 1973. Lawyers began to argue that because he was president, he had the executive power to to keep the tapes. Others argued that this was an abuse of executive power. Archibald Cox, however, an independent special prosecutor of the case, was determined to retrieve the tapes. When Cox refused to stop demanding Nixon turn over the tapes, he was fired. This caused many officials from the Justice Department to resign in protest. Nixon eventually agreed to release some of the tapes, but not all of them. In early 1974, his cover up began to fall. On March 1 of that year, a grand jury appointed by a new special prosecutor indicted seven former Nixon aides. They had various charges for their crimes related to Watergate. Meanwhile, Nixon was struggling to keep the tapes under wraps. The Supreme Court ordered the tapes to be turned over, but even then Nixon tried to delay turning them in. The House of Representatives eventually voted to impeach him because of his abuse of executive power and for obstruction of justice, criminal cover-up, and many constitutional violations. On August 5, 1974, Nixon finally released the tapes. They provided obvious evidence of his involvement in the crimes, so he resigned on August 8 in fear of the Senate impeaching him. When Vice President Gerald Ford became president he quickly pardoned Nixon of all crimes relating to the Watergate case. Some of Nixon’s aides did not receive the same luck as Nixon though. They were sent to Federal Prison after being convicted of many serious offenses.